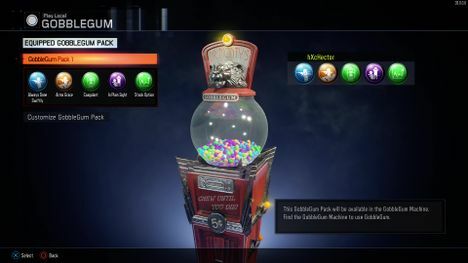 In Zombie mode of Call of Duty: Black Ops 3 there is a Gobblegum machine, which supplies you with GobbleGum balls. These are actually Perks and give you bonuses in the fight against the zombies. To use the Gobblegum machine in Black Ops 3, you have to save up 500 points during the game. Once you have done that, you can unlock the Gobble Gum machine. Each round you get a Gobblegum or a perk. The below table give you an overview of the individual effects.